With the Kentucky Derby here, a celebration with class, polish, and a little healthy competition is in order. No need to make this an adults-only affair, either. There’s plenty for young ones to get excited about, especially when Southern Lady‘s delectable Kentucky Derby Pie Bars are served. They let Churchill Downs and America’s greatest race inspire a special boy’s baby shower. 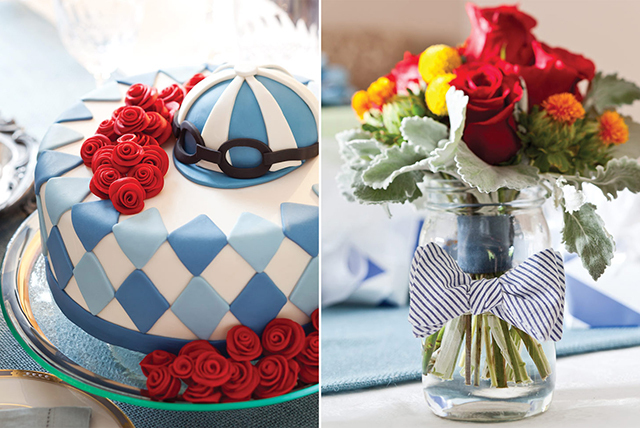 But many of the ideas—such as silver cup trophy decorations and bow-tie floral accents—can translate to the Derby Day celebration of your choice. 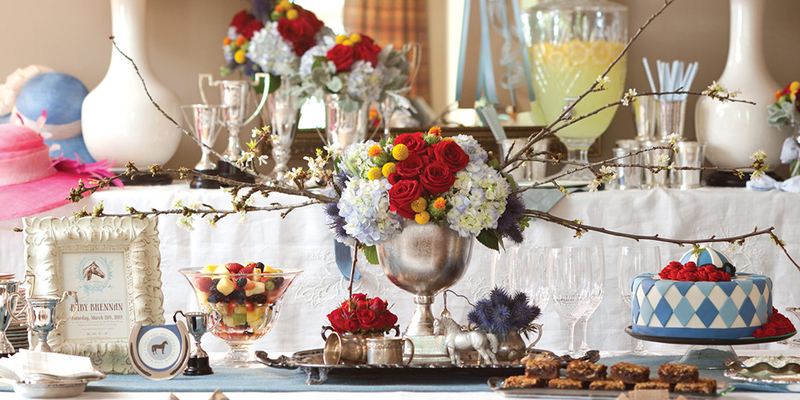 Red roses and blue-and-white décor throughout make the party fit for a champion. Add the delicious recipes, and I bet your Kentucky Derby festivities are sure to win. 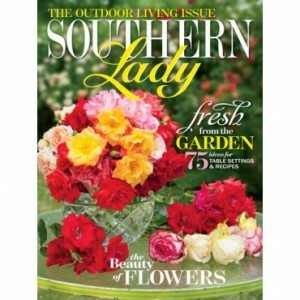 See the rest of the “Celebrate the Kentucky Derby in Style” story from Southern Lady magazine, and get even more Derby recipes from TeaTime magazine: Afternoon Tea at the Kentucky Derby. How are you celebrating Derby Day? I’d love to hear about it! Been out of town, just read your article and loved it. Wish I had it earlier it’s great ideas for a party next year, and just my style!!!! loved it. I am retired and living in Alabama, but I was born and raised in Louisville, Kentucky and have many ties to The Kentucky Derby. Enjoyed your article as always. Although I’ m Canadian and not really a racing fan, I always look forward to the Derby and hope to one day be part of all the excitement. We do watch it from home every May. I decorate the fireplace mantel with silver goblets, flowers, and horseshoes. I do make a mint julep…a very “light” version and wear a hat as we much on treats and watch the race. Always much fun!